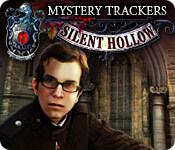 Mystery Trackers: Silent Hollow is rated 4.1 out of 5 by 39. 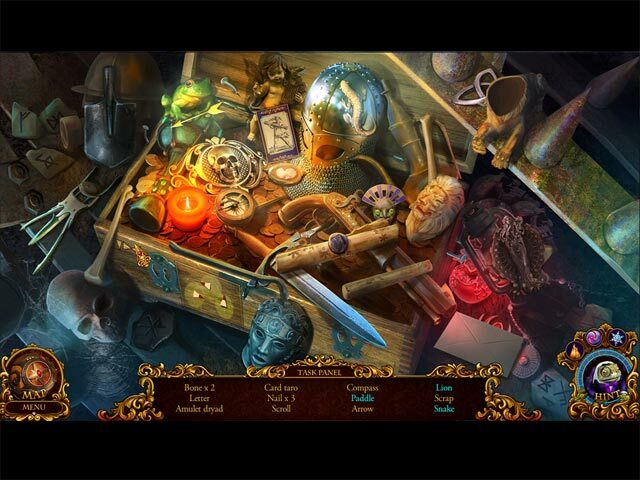 Rated 5 out of 5 by Majestyx12 from Classic Hidden Objects Puzzle Game Have Windows 10 and am happily surprised at how good this works and how great the game is considering the age. Some games aren't good passed 2015 and some 2009 as far as working with my system. I liked this game better than a lot of newer games. More substance and game play. To me the hidden object game is one that has hops and fun, not hard puzzles and this one does it for me. I usually don't like not having a Collector's Edition because I always miss something but I did OK. The hints tell you where to go back to so you can find it. The map is good but not all telling. 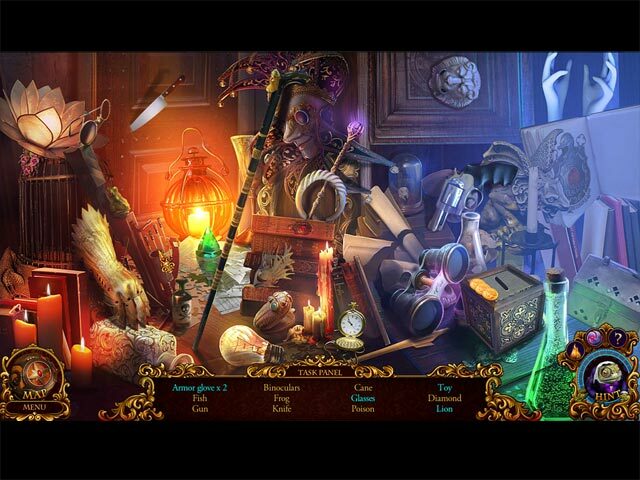 Rated 5 out of 5 by BooksandGameFan from Fantastic hidden object game! I absolutely loved this game! Best of the Mystery Trackers and I've played them all! I Just loved the story line. I loved picking up and using the different objects from fellow agents that gave me special abilities. I loved the helpful little dog named Elf, he's adorable! My favorite thing about the game was the logical game play. It was pretty straight forward for the most part and things made sense! Fun from beginning to End! I highly recommend this game! Rated 5 out of 5 by megwoman25 from Review of Completed Game... As far as this series goes, I enjoyed The Void & the original Raincliff but then I felt like this series went to a place of complete boredom and shame as I haven't enjoyed the following games like Black Isle, Four Aces etc. However, this installment brought me back to why I loved this series to begin with. This game is very well done, very mysterious and interesting. Even though Elf is still there, he isn't whining or taking up most of the screen or the game. He is not intrusive as I felt he was in other games. I really had to tear myself away from this every night in order to go to bed. Its games like this, I wish there were more of. The plot was very interesting as you go to home base and learn about all the different agents and what they can do while you save them. You get 3 powers from some of the agent gadgets as well as a magnifying glass type thing that finds cubby holes that are not seen to the naked eye. This feature was very fun as not all rooms have cubby holes and its fun to explore! Finally we have an installment in this game not set in the snow! Hooray for that! The powers were fun to use and spread out quite nicely throughout the entire game. Game length took me about 5+ hours as it took me 2 days to play this game putting in about 2 or 3 hours each night. 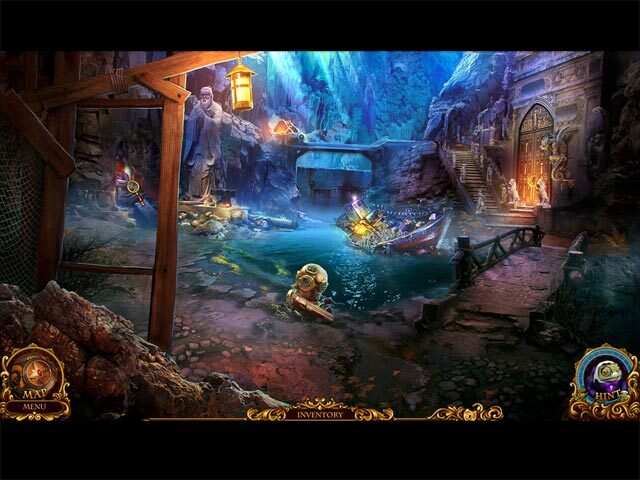 The hidden object scenes are interactive as usual and you play each once. There are codes in the hidden object scenes that apply to a puzzle lock in the scenes that you must put in the right order to get some items. I found the writing quite small on the codes and wished they were a little bigger but not a show stopper. The mini games were pretty original although I would have liked some more that made me think but I was able to complete all but one of them. There was more adventure than hidden object scenes which I enjoy. The only downside to this game is that I felt like the ending was really abrupt. I kind of wished I had purchased the collector's edition to see what happened next but I was satisfied with the ending because I did save the day and all that, just kind of quick there at the end. This game seems to go on forever as there are many locations and a great map and hint system that makes a strategy guide really unnecessary. I was going to bypass this installment as I haven't liked the last few in this series but saw this as a daily deal and couldn't resist it for $2.99. I feel like I won the lottery since this is one of the best games I have played for awhile and I really enjoyed playing it. It was hard to put down but those are the best kinds of games. I only hope the next installment is as fun as this one proved to be. Cheers! Rated 5 out of 5 by AyeKCB from Silent Hollow is fantastic! I almost missed this game. My review is based on advance mode. Wonderful interaction - keeps you on your toes - gives your thinking cap a work out. Good length too and captivating. Excellently mastered cut scenes. Vibrant antagonist. Interesting characters all real, like a movie. There are a lot of fun things to do. The mini game puzzles are invigorating in their uniqueness but I never asked for help during mini games in respect to what I had to do, I just played them and never skipped. Most enjoyable. Oh, I did ask for help a few times when I missed some small item which I needed to move on. The map and teleportation is wonderful. It is like a mini overview of the entire game area with clouds obscuring the areas that you have not yet investigated. I as the investigator had exciting powers. The graphics is quite realistic. Let me not say more and leave you to explore in a mode of high expectation, you will not be disappointed. I hate reviews that take away all my surprises. This game is worth every penny. I recommend it most emphatically! Rated 5 out of 5 by qvo_vantis from Great game. It kept me going. Long and interesting storyline. Loved the puzzles. I could not expect less from a mystery trackers game! Rated 5 out of 5 by tutortime from Mystery Trackers - continued success Mystery Trackers is a game master. This game gives you everything you expect from MT. Beautiful playing experience. My only observation was, it seemed a little short. Rated 5 out of 5 by TeddyofStGiles from Slow start but hang on.... I thought the beginning was a bit confusing as you are thrown in the middle of trouble but I do not use hints so took a little time to work out what to do. How nice to have something which was not the same as everything else. Having to take it slow was a real challenge and the graphics are, as usual with this company, excellent. Definitely have to play again. Rated 5 out of 5 by panjee from Another good one from MT Team I have all the games of this series and the devs never let us down. Amazing visual effects. We have a jump map, our loveable Elf to help, little owl friend to give hints. Just love everything about this game and the ones before it. This time you as an agent need to rescue the missing agents and save the headquarters. Lots of puzzles to test your detective skills -some are very easy others require bit of thinking but not frustrating. Very good iHO and the objects are of good size. Buy the SE version if you do not bother with the extras. . Thank you devs and BF for another winner! Rated 5 out of 5 by Ciccarello from Worth Every Cent I really enjoyed this game. It was fun and lengthy. The hint button was fast in casual, which I use because I don't like stress. The map was able to keep you going, other wise... you don't know where you are sometimes. The graphics were superb. I highly recommend this game. Rated 5 out of 5 by htothek from Most Excellent Game I love this game and I love this series. The story line flows and I really like the variety of challenge options. The graphics with special effects are awesome. This is one of those games (just like a good book) that once started you can't put it down....captivating.